A little while back I shared with you all how I transformed a piece of canvas wall art my sister-in-law gave me. I also mentioned that I had one more that I was going to change around and this is it. So today I’ll be sharing How to Use the Cricut Explore to Upcycle Canvas Art. The very first thing I did was simply to paint it green. This is one of the accent colors in my living room. I then made a stencil using a Show-Offs Stencil Blank and my Cricut Explore using this method here. I had designed this stencil for the Awesome Quotes theme that I did in my Resource Library a few months back. The stencil cut files is in the Resource Library, which is available for free as a bonus to email subscribers. I placed a few books underneath the canvas until the books were the same height as the wood edging that the canvas is stretched over. The books gave the canvas a solid surface for the stenciling. Then the canvas was stenciled with this awesome quote from Corrie ten Boom. I also added one of my floral borders on the sides of it just because. I’ll be making my floral borders and floral repeating stencil files available in the upcoming months so be sure to stay tuned for that. 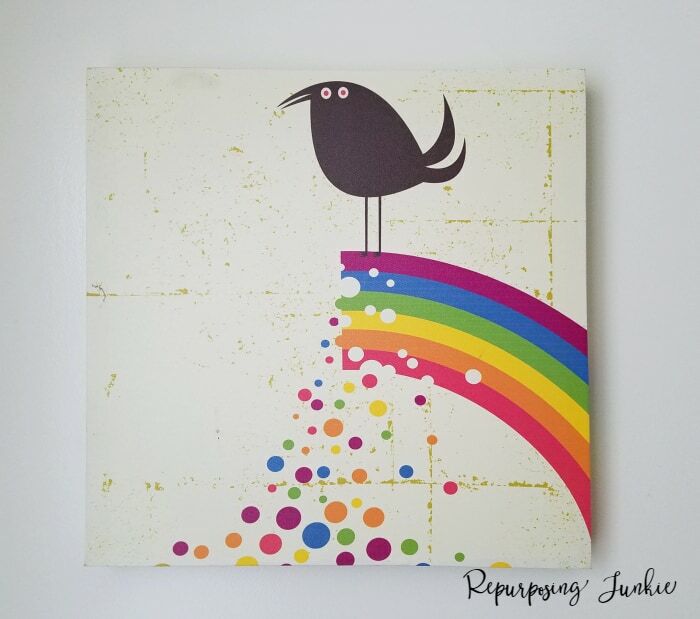 I hope this How to Use the Cricut Explore to Upcycle Canvas Art project inspires you. If you have any questions just put them in the comments and I’ll try to get to them as soon as I can. I hope you have a wonderful day! Very pretty canvas Keri. I think the quote says it all. And of course your lovely stencil.